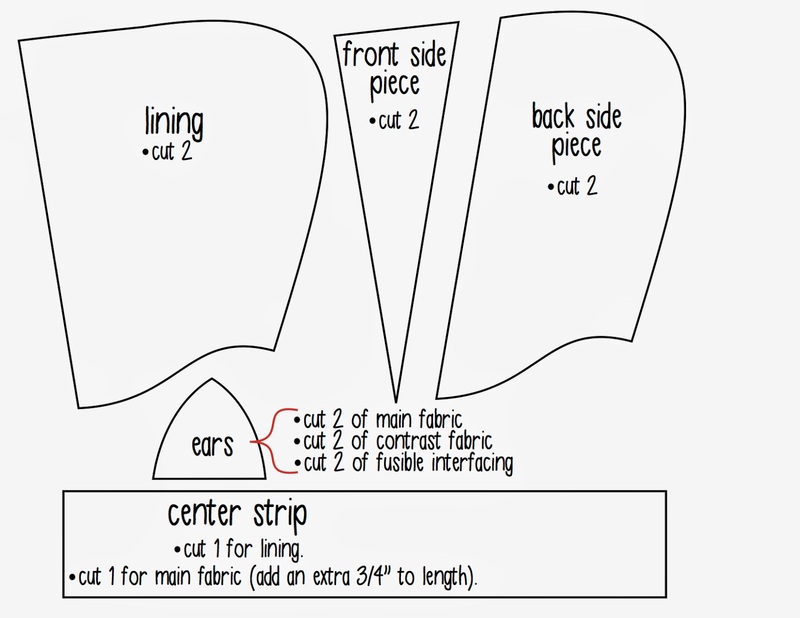 You may have seen my 'new and improved' hoodie scarf over at Tasha's blog (HERE) and I thought I'd share with you the changes I made to make the perfectly placed ears. Nothin' like a good set of ears, no? If you haven't read the original tutorial, please do so as this tutorial is a supplement. 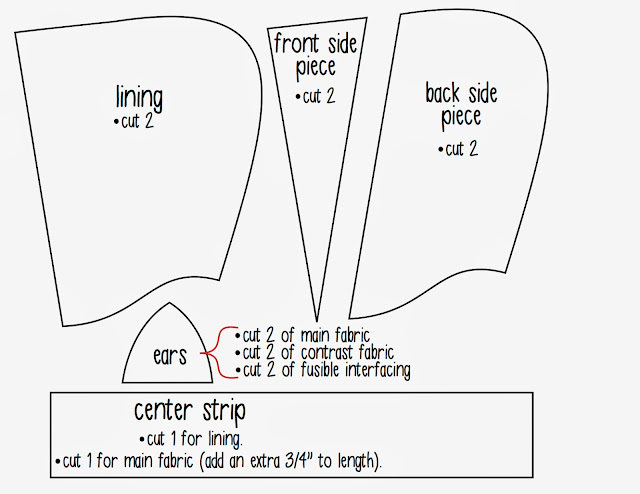 For hoodie lining, scarf and supplies please refer to the original post(HERE). 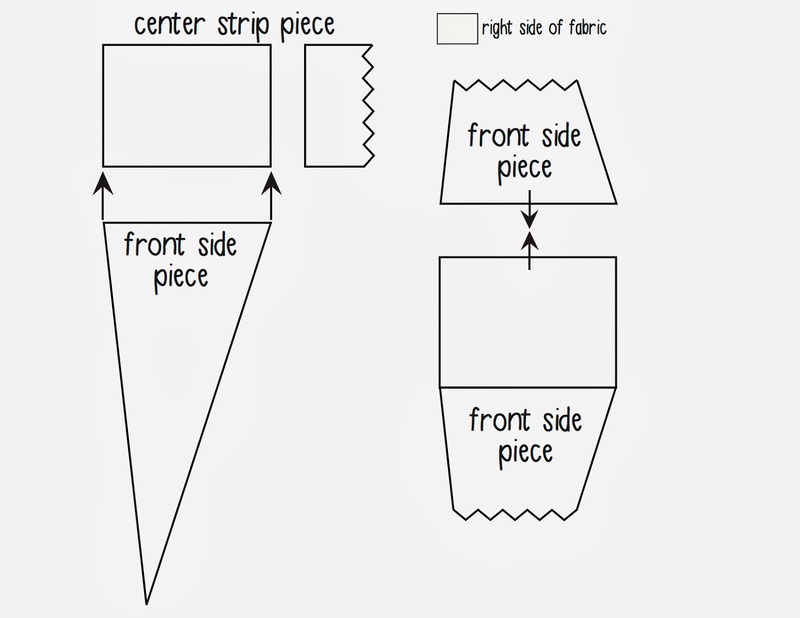 Above are the hoodie scarf pattern pieces you will need (scarf pattern not shown). 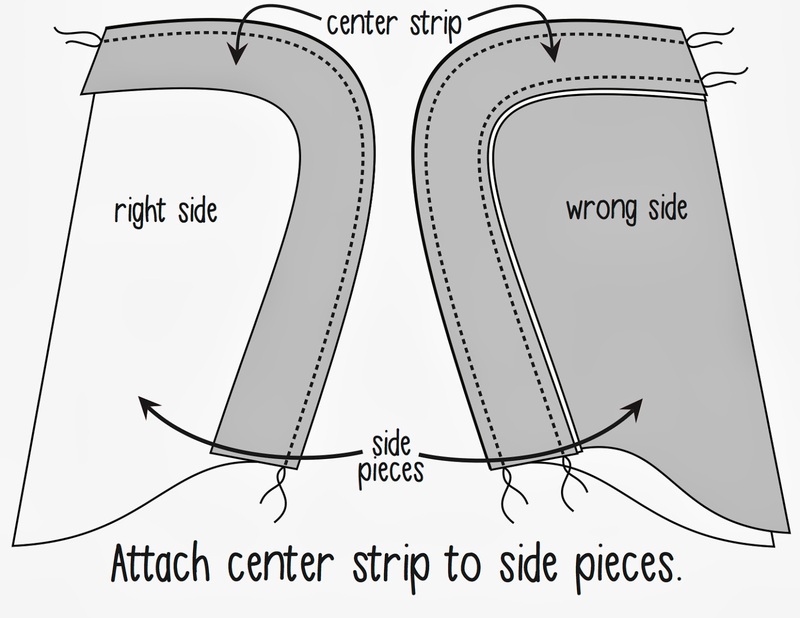 Pay particular attention to the cutting directions for the 'center strip' piece. For the main fabric center strip piece, you will need to add 3/4" to the length. 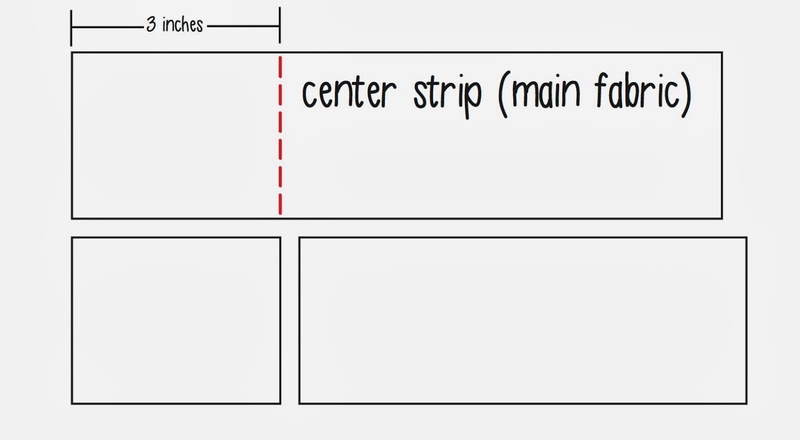 Measure 3" from either short end of the strip and cut. 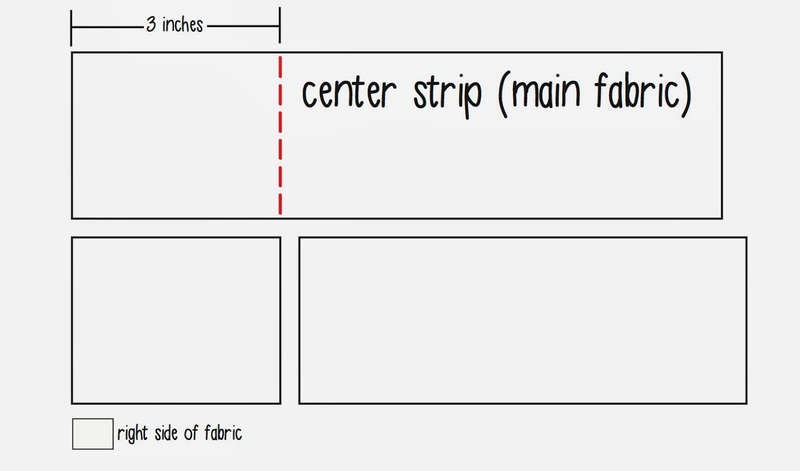 This short strip should be the same length as the top short edge of your 'front side pieces'. 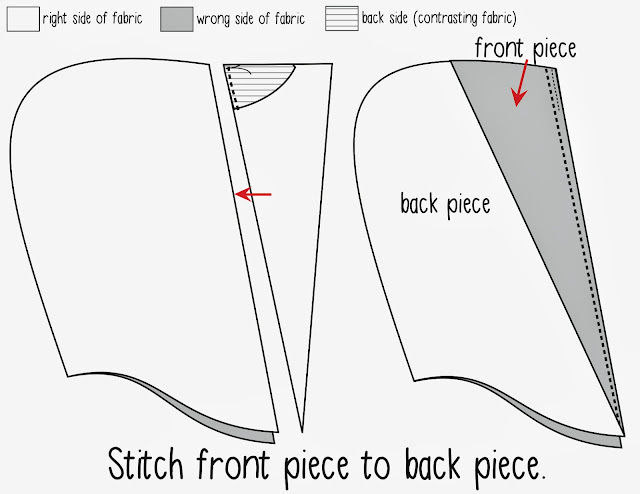 With right sides together, stitch your short strip to the front side pieces. 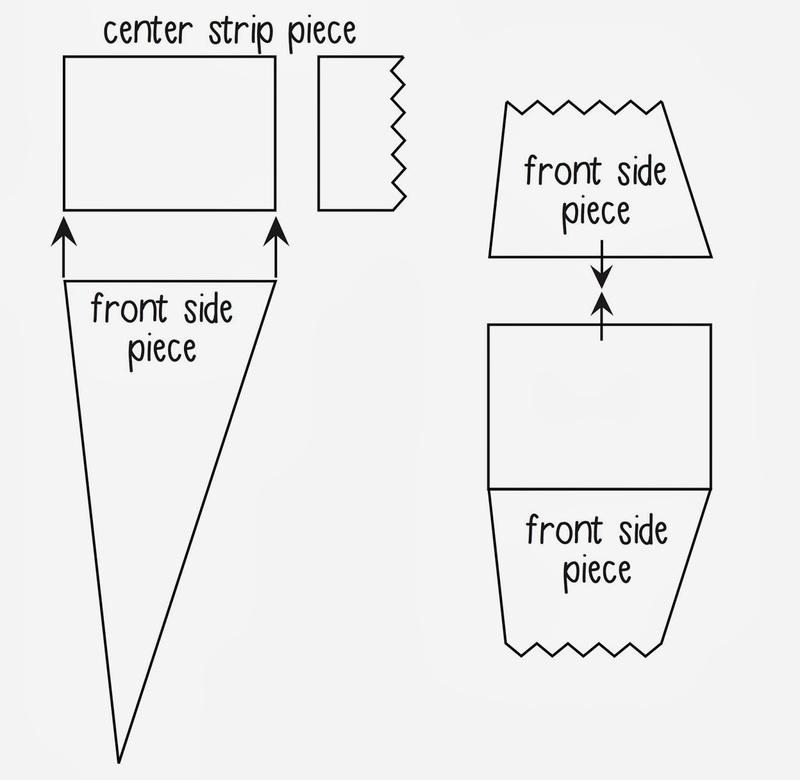 Your front hoodie scarf piece should look something like the diagram above. Next, follow the directions in my previous tutorial (HERE) to make the ears. 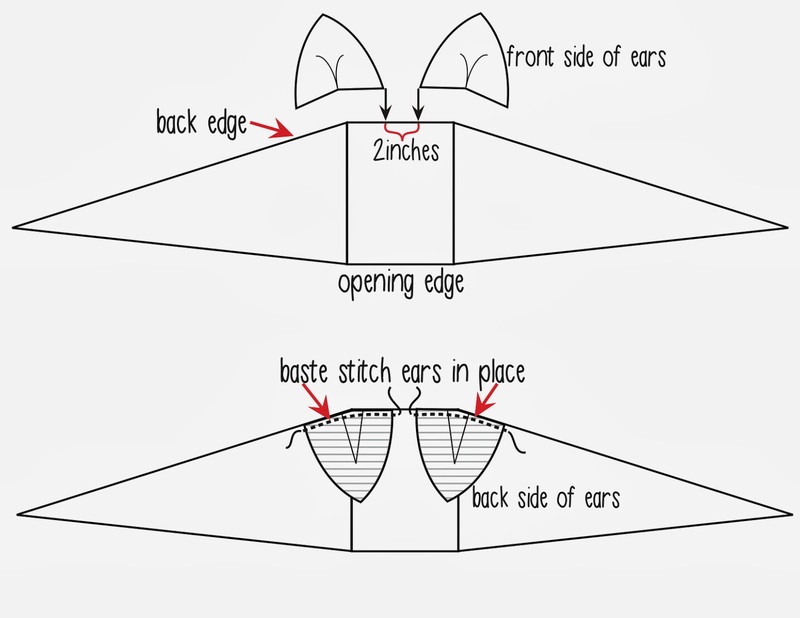 From the center of the back edge of the front hoodie scarf, measure the distance you would like your ears to be apart. ***A 2" distance in-between worked best for me, but you can increase or decrease the measurement to better suit you. *** Pin and baste in place with right sides together. Set aside. 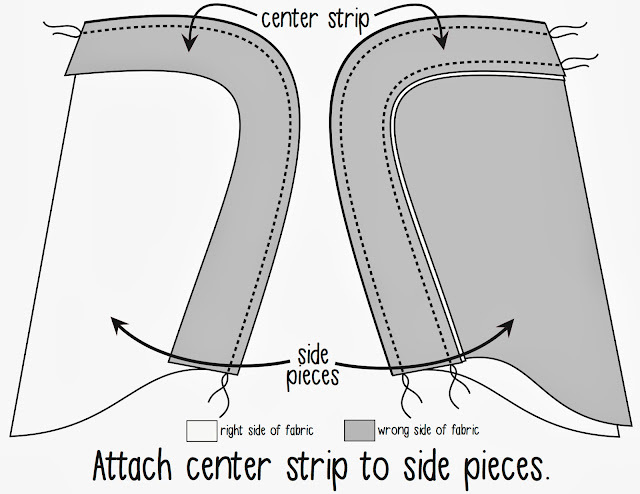 Starting from the top edge of the side pieces, take your long center strip of main fabric and with right sides together, stitch in place. This may be a bit tricky for some, so take your time! Trim off any extra fabric from the center strip. 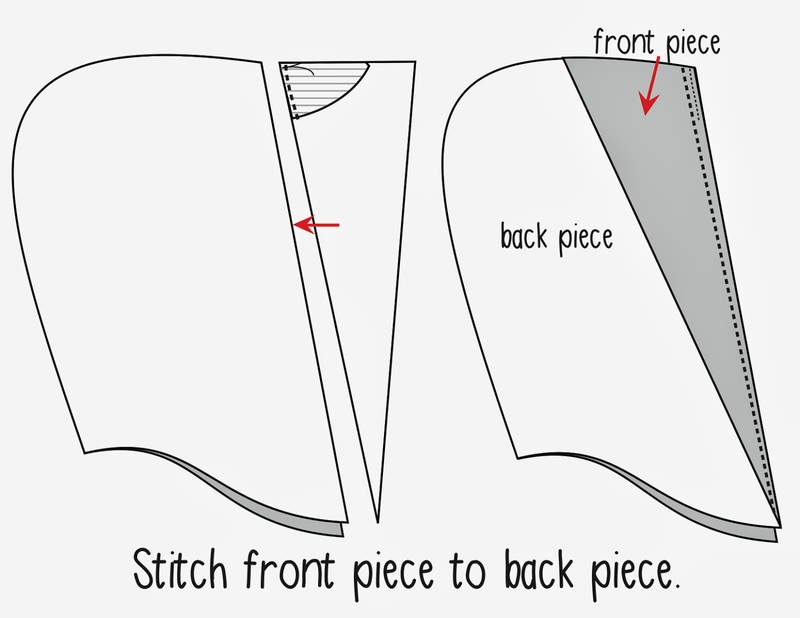 With right sides together, stitch your front piece to the back piece. Flip front piece over. Flip ears up and press seam allowance forward. Topstitch about 1/8" from the seam to secure the seam allowance in place. 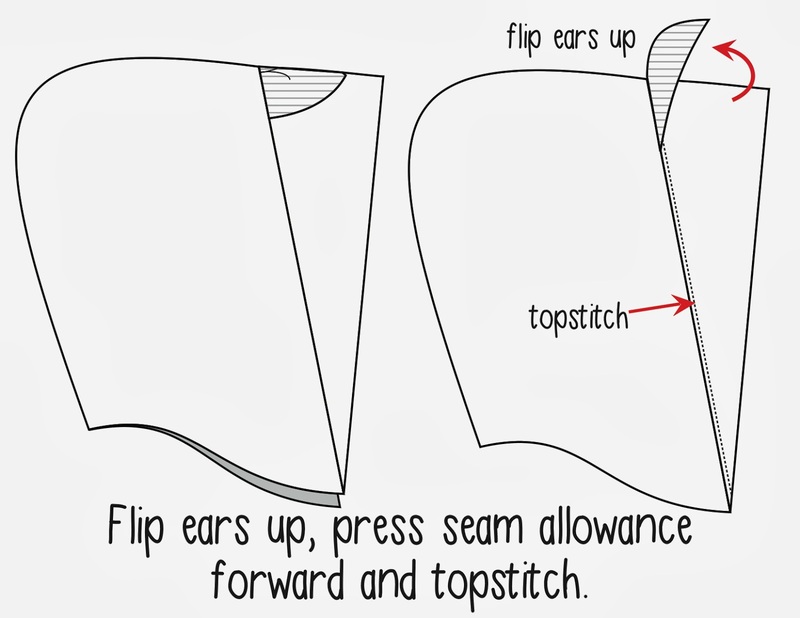 This step will help keep the ears upright. You have yourself a perfect set of ears! 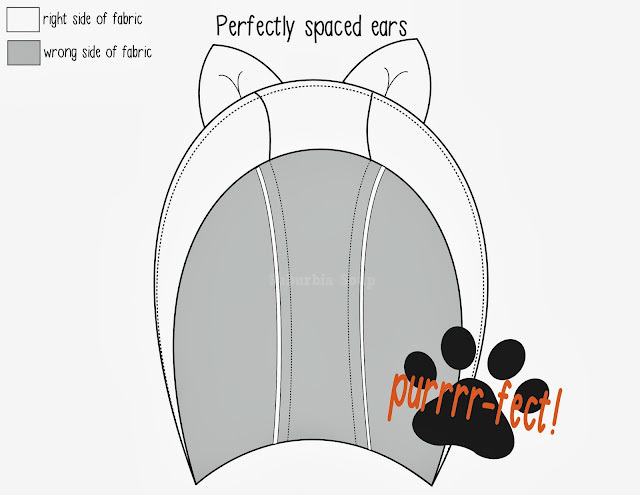 For the remaining steps, just hop over to the previous tutorial (HERE)and you got yourself one purrrr-fectly sweet hoodie scarf! Make someone happy... make a hoodie scarf! P.S. Don't forget to share your creations on our Flickr group (HERE). It's really purrrfect, Venus! 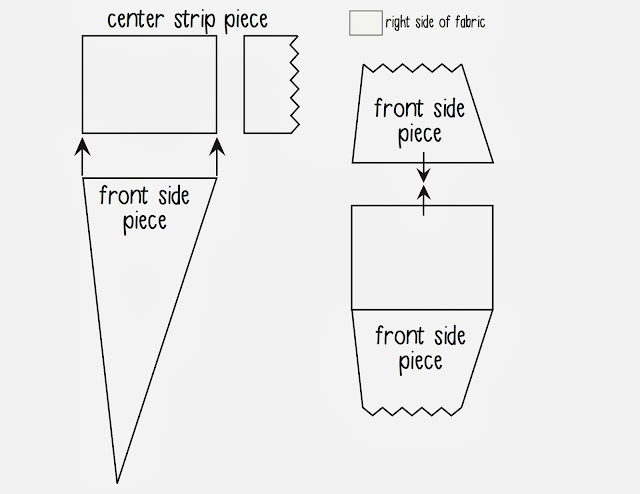 I'm looking for idea to make Halloween costumes, your blog post just in-time. Btw, how's Lala's skin, fully recover? I hope Lala is fine now. Hi Yeka! She's doing much-much better. Almost gone! Thanks for asking. Aww... Lala is super cute:) T will be a cat this Halloween so I will definitely make this!! Thanks for sharing!! This would be perfect for T. If you make one, you gotta show me! It's great. My kids are crazy for their ear hats, I should probably make up some of these to have more options! Who doesn't like ear hats?! ;) The more-the merrier! 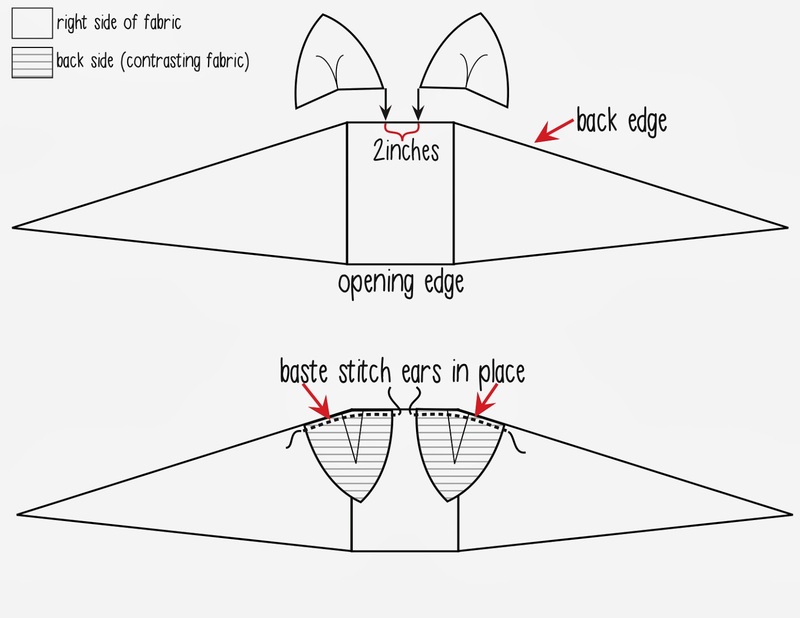 This is so cute Venus...and you have some real skills with pattern/tutorial making!! Aw, thanks Suz! I'm really flattered, coming from you! Thank you for this great tutorial, Venus! 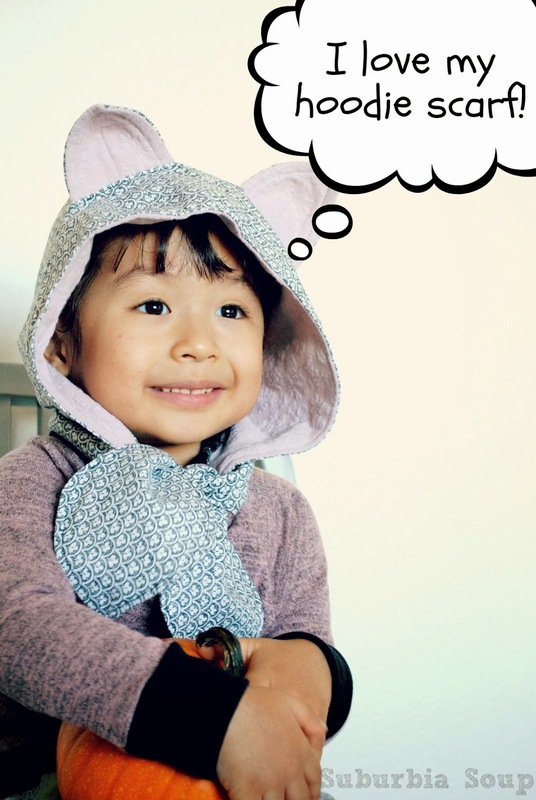 I know my kids would love to have a hoodie scarf like this! Hi Marta! Oh my goodness... your girls would look sooo adorable! 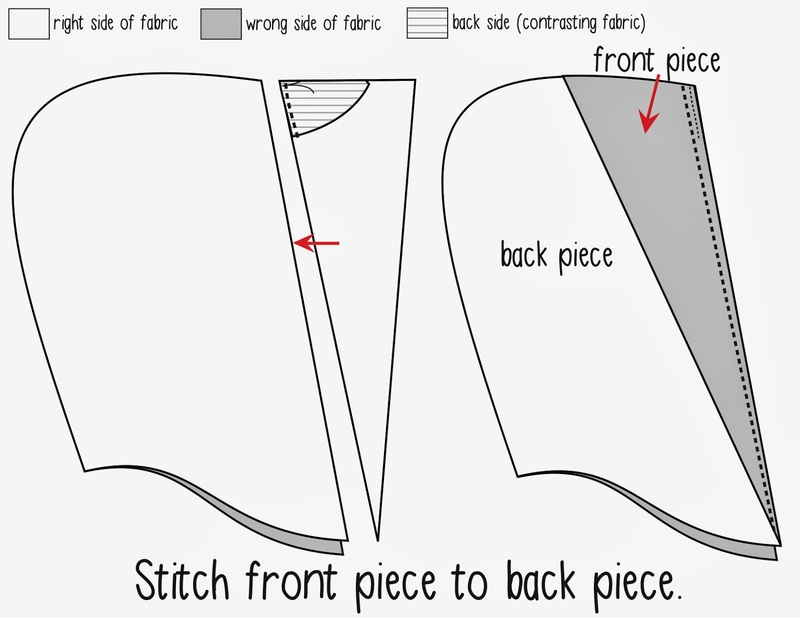 I just came across this adorable project and somehow cannot access the original tutorial, either on my phone or my computer. Is it still available? Hi Meghann, are you still not able to access this tutorial? There is no original tut:( hoodie looks great! Alrighty… I figured out the problem and it is now corrected. :) Go ahead and click on the "HERE" link up above in the post and it should direct you to the original tutorial. Sorry, ladies! Enjoy!